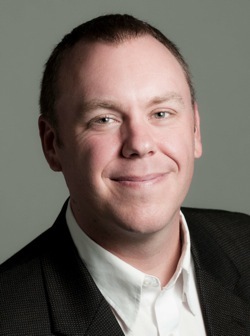 Jason brings 25 years of strategic marketing experience to Nomad Marketing. He has held senior product marketing and business development roles in a wide range of industries, from commercial/industrial to retail and consumer businesses. Jason has been responsible for product marketing and business development for commercial and industrial organizations such as 3M and Telex Communications. He also has held consumer and retail marketing positions in the software industry at Corel and in the entertainment industry at Compass Productions – a leading supplier of custom music programs to mass retailers. As a Managing Consultant for the Urban Business Assistance Corporation in New York City, Jason helped women and people of color develop business and marketing plans, secure financing and launch new businesses. Jason holds an MBA in Marketing and Management from New York University’s Stern School of Business and a Bachelor’s Degree in Economics from Macalester College in St. Paul, MN. 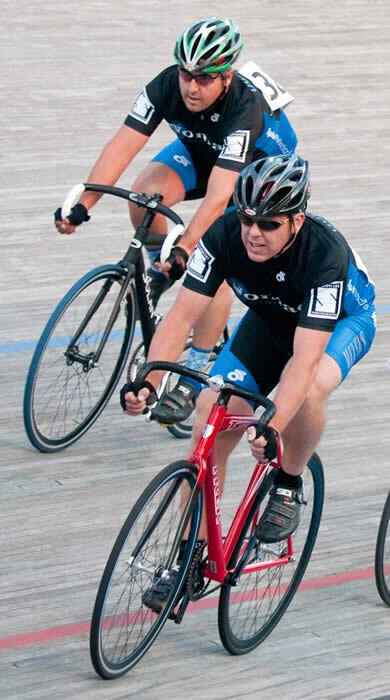 Team Nomad Marketing emphasizes track cycling and races at the National Sports Center Velodrome in Blaine, MN. This world class facility just completed its 26th season of racing. Team Nomad Marketing promotes the Big Waters Classic bicycle race series – including the popular Southside Sprint, the Minnesota state criterium championship. This amazing urban race series takes place on the third weekend in July. Click here to learn more about the race. Our racing season starts in May and continues through the first half of September. We race every Thursday night. Get the full NSC Velodrome schedule here. Track training sessions are scheduled Monday evenings at 7 PM. We ride on the road most Wednesdays at 5:00 PM from South Minneapolis and Saturdays at 8 AM from the Caribou Coffee at Lake Street and Irving Avenue in Uptown Minneapolis. Our most frequent routes tour St. Paul and the Southeast Suburbs and the Midtown Greenway west to Lake Minnetonka.